Labour GAIN. This will not be one where the Lib Dem vote is resilient like Eastleigh. It will be more people returning to their traditional voting preference after feeling betrayed by what they will have thought was an alternative centre-left party. Looking back I must say this was a spectacular gain for the Lib Dems in 2010. Those locally may well say that the outcome was deep-set due to steep falls in Labour’s vote in 2001 and 2005 previously- It was just a matter of who the eventual beneficiaries of this would be- The answer was the Lib Dems. I suppose their then-popularity locally had a lot to do with the win, but the candidature of Gordon Birtwistle, the leader of the council (at the time) yet again might well have made a difference. I agree certain Labour gain. 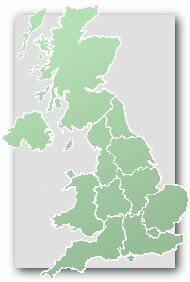 In May 2012 Labour won 11 wards, the Lib Dems 2 and Tories 2. The Labour-Lib Dems contest were not generally close. Labour now control the council with 26 of the 45 councillors. By what sort ofg margin? 60 – 22? Everyone’s entitled to their view of course but I would say it’s a bit early to be making firm predictions. I’ll add up the votes for the May 2012 elections but it didn’t look at all close between Labour and Lib Dems. The Lib Dems winning control of the council was a precursor to them the parliamentary seat and I would be surprised if the Labour retaking the council is not a precursor to them winning the seat. The only thing that will save Gordon Birtwistle is if he is very popular and has a strong incumbency vote. This MP does not seem like a Lib Dem. Joe James – I think this is a fairly certain Labour gain – I wonder if Julie Cooper will get the nomination again. It wasn’t a good result for the LDs but it wasn’t spectacularly bad either. The Lib Dems will poll better than expected in 2015, although Labour will take the seat. There are wards that the Lib Dems have managed to hold onto that were safely Labour in the past and it is that bedrock that I expect to shore up the vote. As for Gordon Birtwistle not being a typical Liberal Democrat, only in the sense that he is a former Social Democrat who is still in the Lib Dems. He is certainly vigorously anti-Labour and that antipathy may well be the doing of him. Given the current state of the LIbDems in the polls, which is likely to persist because of their participation in the Coalition, this is so obviously a Labour gain waiting to happen that it is hardly worth discussing. The major psephological issue is the growling discontent in this constituency represented by the minor candidate vote. This could blow up at some point in the future. I see from today’s “Daily Telegraph” that the “Economist” is suggetiing that Burnley should be abolished. This is not abolition of the constituency, though that would follow, but abolition of the town, whose industrial justification has gone. One could say the same of a considerable number of other seats. There is a wider issue for psephologists in that the grotesque and growing economic inequalities between Northern and Souther England will continue to have effects both on voting patterns and on the distriution of constituencies, and this ios something we should be keeping a watch on. it’s almost a rotten borough its so small in population.. Sad that Julie Cooper is contesting this seat. Alastair Campbell was thinking about running here and he would have walked it. Better a Burnley this size than the zombie review’s peculiar take on it! Christ, how did I miss that inane Bob post from November? Alastair Campbell. Surely that’s a pisstake of the highest order. A man disliked across the political spectrum. Much loved in Burnley though – tell them he is unelectable and they’ll vote him in by a landslide. I used to live in Burnley and they are quite contrary folk. I am surprised at how well the Lib Dem vote has held up here. This seat will still be a Labour gain though, although I can see the LDs regaining it again in 2020. Take no notice of Bob – he will lose interest. He doesn’t even pretend to analyse the constituencies rationally, he just ramps up anyone who is New Labour enough for his liking. Wonder what’ll become of that 9% BNP vote from 2010. If there is one constituency that could elect Alastair Campbell, then this would probably be it. I’m sure he would win, but he still divides opinion. I was at the promotion parade in 2009 and he was introduced as compere and there were audible boos to go with the cheers. I suspect there’s a chance he would actually prove a bit of a drag on the Labour vote here. Neil: I expect that it will be less than half of what they got in 2010, say 4%. I reckon that about 4% of that free 5% will go to UKIP, with the other 1% going to Labour. Should be a Labour gain as long as nothing goes horribly pear shaped before that. Julie Cooper is local to Burnley. Seems like a big improvement on Kitty Ussher. Thing is if the Lib Dems were to lose this, I would feel bad for Gordon Birtwistle as he was clearly committed for several elections trying to win this seat before finally achieving it in 2010. Almost any Labour candidate would be better than Kitty Ussher. Ussher is the niece of Virginia & Peter Bottomley. Surely there can be no other example of an uncle & niece sitting in the House together, and the uncle’s parliamentary career outlasting that of the niece. Indeed if she had contested the seat again in 2010, I think Birtwistle would’ve taken Burnley by a bigger margin. Labour’s task for gaining this is somewhat eased by the sub-2,000 majority at the moment, decent local election showings (although the LDs have remained strong in places) and the collapse of the BNP. The mood on the ground here is still excellent for the Lib Dems. Theres no support left for the bnp and UKip wlll go nowhere except at Tory expense. Lots of enthusiasm for the lib Dems and very hard working and committed activists and plopular local conuncllors and MP. So, with stupendous momentum, the hard work will pay off – pounding the streets, sticking labels on and deliverying to houses not skips. And I thought I had seen the worst of the trolls on here. How wrong I was. At least this one is funny. The trouble is that whenever you see that there is a Gloy Plopwell post you know exactly what will be in it; at least I don’t think you can say that about anyone else, since even Tim does from time to time abandon his favoured topic of describing places as dumps. I don’t find it funny any more since it’s so predictable, and if these posts are indeed made by Joe Broughton as someone has suggested, all I can say is I greatly prefer Joe’s posts as himself which are rather missed despite his occasional gratuitous insults of people he dislikes – he makes good predictions when he isn’t deliberately joking & has some quite astute things to say. I second that, Joe please come back (as yourself). I don’t think Gloy was entirely a spoof when he first emerged, in the days when the Lib Dems were doing pretty well. He was in his element during the Cleggasm when it did seem plausible that the Lib Dems might win in some weird & wonderful seats. Nowadays I think certain posters have resurrected him as a pretty flat joke. You can tell it is not the original Gloy making the posts and as Barnaby says it is more irritating than funny now. “Plopular” “deliverying” – the Lib Dems must be so happy to have such a positive and charismatic supporter. I must say, what whoever is Gloy Plopwell says about the mood on the ground is one of the oldest election cliches. I’m sure we’ve all lost count of the number of times an election candidate who was obviously heading for easy defeat has used this sort of phrase; this is why we are on this site, believing scientifically & corrected conducted polls to anecdotal evidence. You can have a disastrous night’s canvassing, and a couple of very enjoyable consolatory pints in the pub, resulting in an excellent mood on the ground after all………. Willie Whitelaw went rather further. In October 1974, it was pretty obvious that the Conservatives were going to lose the election, but he insisted that the mood on the ground was entirely different. When a journalist at this press conference asked him how he could be so sure, he replied “I have my ear to the ground and I am listening to it most intently!”. If one looks at the 2001 result here, I think it is noticeable that Gordon Birtwistle did not stand and the Lib Dems’ vote share fell. Something similar happened in Bradford North in 1997 when David Ward didn’t stand. 2001 was when the BNP were on a strong upward trajectory; it was I think their second-highest share of the vote after Oldham W & Royton, though as it happens that baleful organization has failed to win (though only just) any council seats there, unlike here. The LDs have it seems been the main beneficiaries of the decline of the BNP in Burnley, at least in the short term. Yes that’s very true. In some of these Lib-Lab marginal areas, the angry white working class vote is very strongly Lib Dem. That was certainly the case in Tower Hamlets as well. Given David Ward’s pronouncements I presume that this is not the case in Bradford East. In 2001, the Lib Dems got 16% and the BNP 11%. In 2010, the Lib Dems got 36% and the BNP 9%. I don’t think that this indicates that the “angry white working class” vote here is strongly Lib Dem, or that the Lib Dems have been the main beneficiaries of the decline of the BNP (which hadn’t really happened in 2010, though hopefully will happen in 2015, when UKIP is likely to be the main beneficiary). One shouldn’t generalize from the Tower Hamlets case. While of course the Lib Dems have in the past sometimes served as a depository for protest votes, and may get hurt by UKIP in some areas as a result, they rarely attract the hard racialist vote (much of which may have voted Labour in the past, out of habit for class/economic reasons, but probably won’t return there, because of Labour’s positions on such issues). As things stand in the polls, this should be a fairly easy Labour gain from the LIbDems. Not so sure….this may be one of the 40 seats the Lib Dems may hold. They may even make the odd gain in places like Hull North even if they go down like a lead balloon in Withington and Central Brent. I can’t imagine that the LibDems will come close to holding Burnley, and as for them gaining a seat in Hull – you cannot be serious! I think Dalek is completely wrong. There is literally no evidence since 2010 that the LDs have any realistic chance of holding on here, and Gordon Birtwistle hasn’t even given himself a fighting chance by showing some independence from the coalition – quite the opposite, in fact. They won’t do as badly as in Manchester Withington but that’s about as good as it’s going tdo get for them. I also don’t think he can seriously think that the LDs are going to gain a seat from Labour, although it’s true they have done reasonably well in Hull compared with most other Northern cities. Ashfield (Midlands mind you) is their closest bet given that their candidate is Jason Zadrozny taking on Gloria De Piero. He took a gargantuan bite out of Labour’s vote in 2010. But even that is likely to stay with Labour. Maybe post-2015 if there’s a Lib Dem recovery it might look better for them. Even with Birtwistle’s independent streak, I can’t see anything other than a Labour gain. There’s no Kitty Ussher this time and Labour have done well to recover their position locally. There is still Lib Dem support in places though which would mitigate a larger swing against them.